I really enjoyed Doctor Strange at the cinemas, and loved its mix of humour, mind-bending CGI, and overall mysticism. I thought it was a fresh departure from the usual Iron Man and Captain America style that's more bound with realism in some ways. So when Hot Toys announced the figure and that it was going to be stacked with accessories, I was all in on the purchase! And I'm definitely glad I did! This definitely ranks right up there as pretty much my figure of the year so far! Check out my full review over on the Kool Kollectibles YouTube channel below. You can tell Hot Toys put a lot of effort into this release. 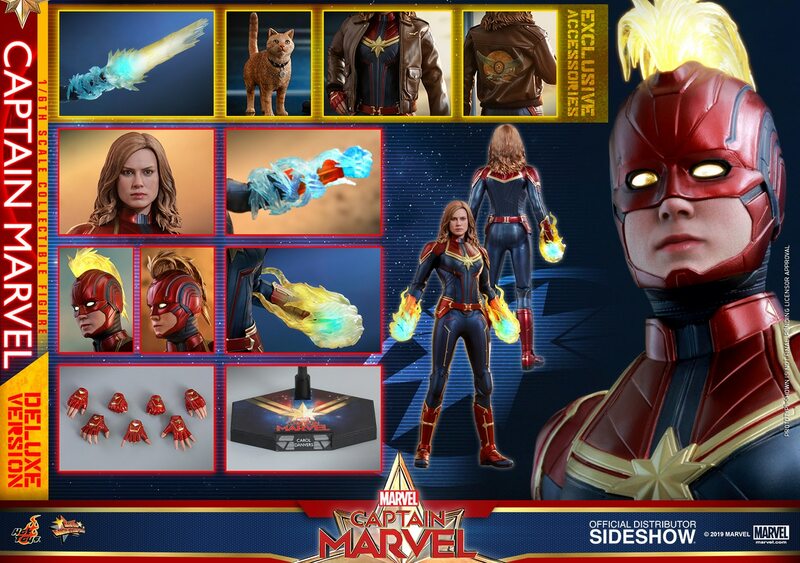 Everything is beautifully designed, from the box art and opening mechanism, to the numerous accessories and diorama backdrop, and the tailoring and materials used in the outfit. That's not even mentioning the amazing head sculpt that is one of their best in a long time! Hot Toys does the best sculpted hair in the business without a doubt in my eyes. The detailed stranding and paint application is beautiful and very realistic. 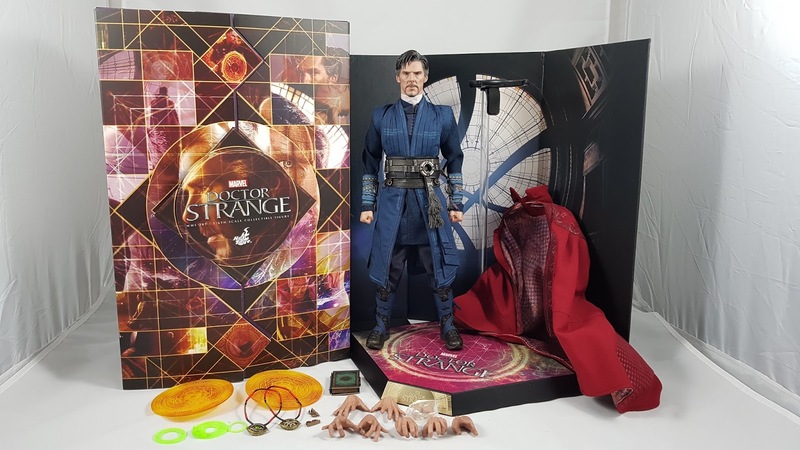 The likeness to Benedict Cumberbatch is spot on perfect, with the usual Hot Toys realistic skin texture and glassy eyes. The accessories are beautifully detailed, especially the Cloak of Levitation and Book of Cagliostro. The different materials and stitching on the cloak is very nice, and the book folds out with actual writing on its individual pages. Amazing attention to detail. The general outfit is definitely on of the most intricate from Hot Toys in a while. There are various layers to the outfit, and the belts all hold things in place. In my video, I do show the belts taken off and how the outfit can be adjusted underneath. Luckily the main press stud on the belt is better quality and doesn't break as easily as other press studs. There's lot of detail in the tailoring, with nice pleats and folds, different materials, and other mixed media for the tassels and boots. It's just fantastic work by Hot Toys on the outfit. It was still a bit of a pain for me to try and get the outfit symmetrical, but I got it as good as I could. The cloak doesn't fit around the neck as nicely as I had hoped either, but overall on display, it still looks pretty amazing. With plenty of poseability and various hand gestures to use, there's lots of display options for this figure. If you're sitting on the fence on this one, I'd highly recommend picking this up. I think by the end of 2017, this will likely still be my choice of 1/6th scale figure of the year in my collection!